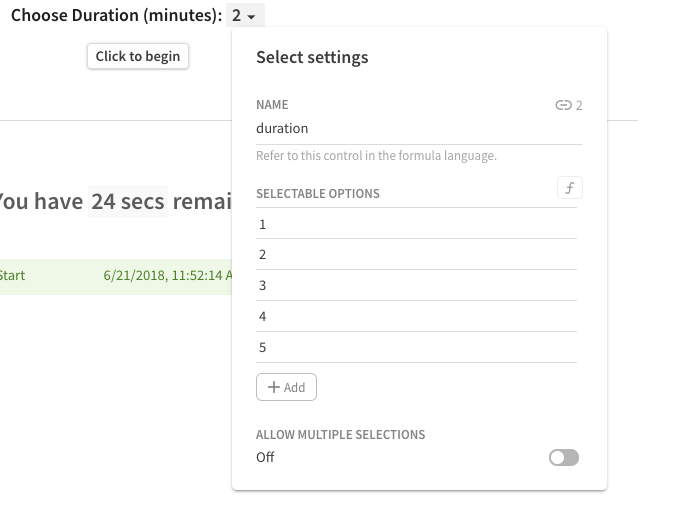 This first example uses the User( ) formula to create a collaborative to-do list. 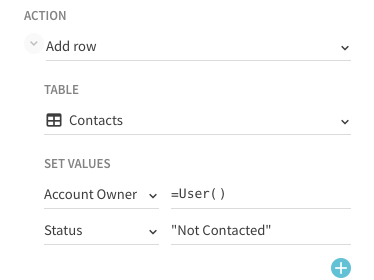 Label: ="Make "+User().Split(" ").First()+"'s Stuff Done"
Action: Add Row - our target is the Contacts table, and we want the logged in user to be the Account Owner (so we'll use the User formula again), and we want the status to be set to Not Contacted as a default. 4. 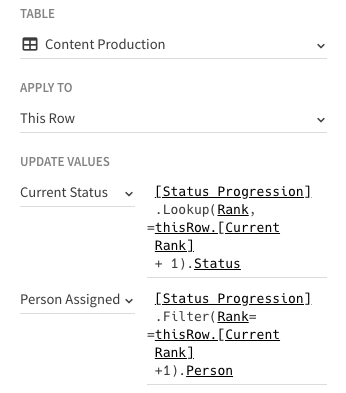 Show Row - Toggled on so that the person entering can add further details about the lead. 3. 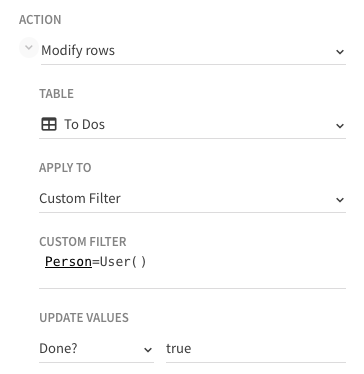 Action: Add Row. 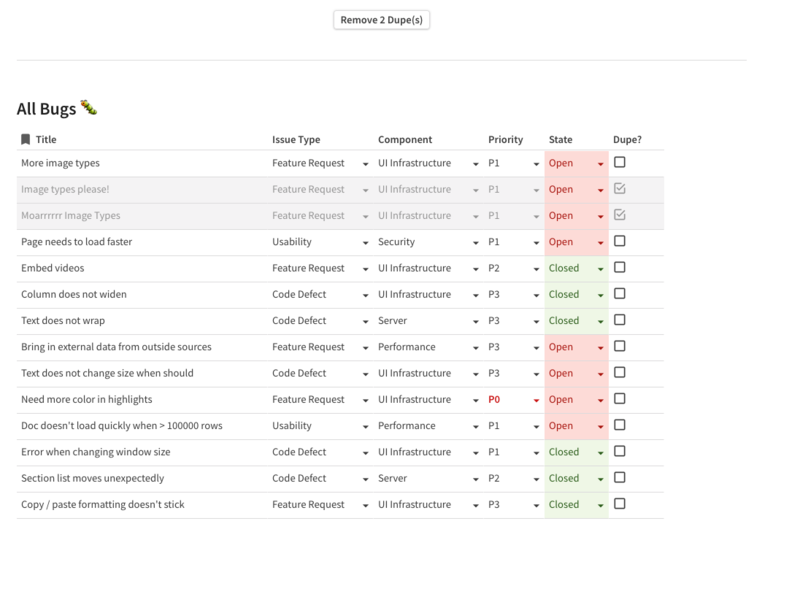 And, we're applying these changes to the Update Log table with the name of the Feature, the date, and who created the new entry. 4. 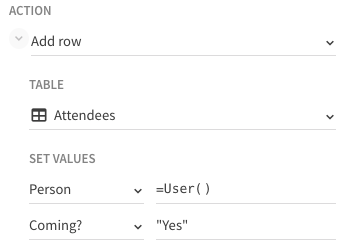 Show Row: In this case, we want this turned on so that the logged in person can add their notes. 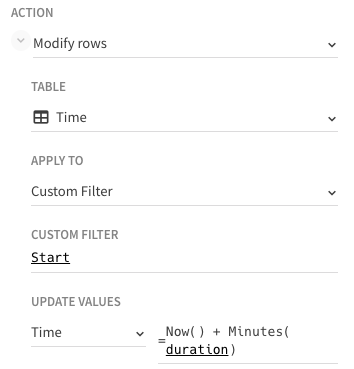 Create one table for your voting, and another table to track the votes. Keep in mind, these can be in totally different sections. 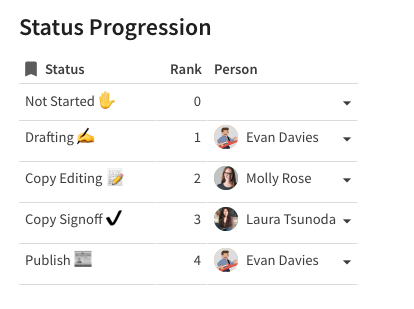 Here, we're displaying the up or down emoji, and using a formula to show the current count of votes. If you want to keep vote counts secret, you can simply include the emoji. 3. Action: Both of these will also Add a row to the Votes table. 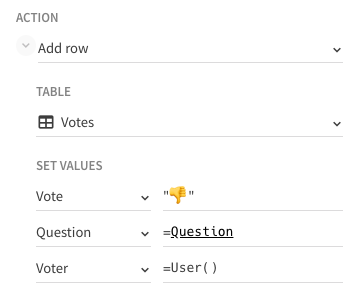 Our set up completes the emoji, the question text from the vote submission table, and the voter's name using our favorite formula - User ( ). 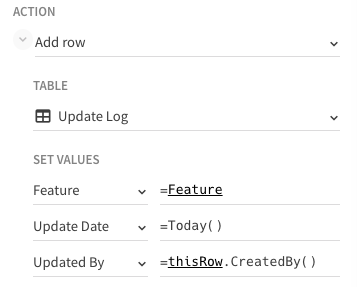 Action: Delete rows. 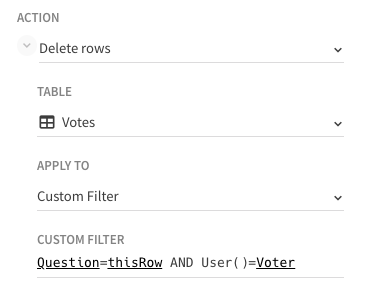 In this case, our target is the Votes tally table, and we're using thisRow and User to connect a user's vote to the question. 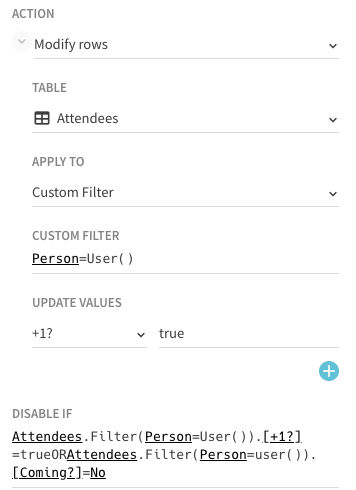 Action - Add Row with the target being your Attendees table. 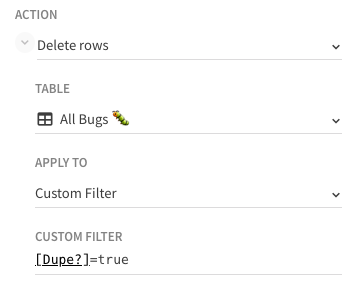 Label: = "Remove "+[All Bugs 🐛].Filter([Dupe? 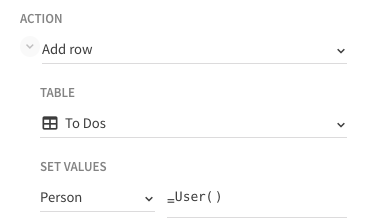 ]=true).Count()+" Dupe(s)"